Happy Friday, and happy early Mother’s Day to all you mamas out there! I plan to celebrate by working on last minute projects for Lucketts, and hitting the flea market- that’s how I have fun! Sarah and I have been busy plotting our “look” for Lucketts, and now that it’s only 8 days away (EEK!) I am going to share some snippets of what I’ve been working on! We actually started a pinterest board where we could collaborate and share ideas we saw and loved. 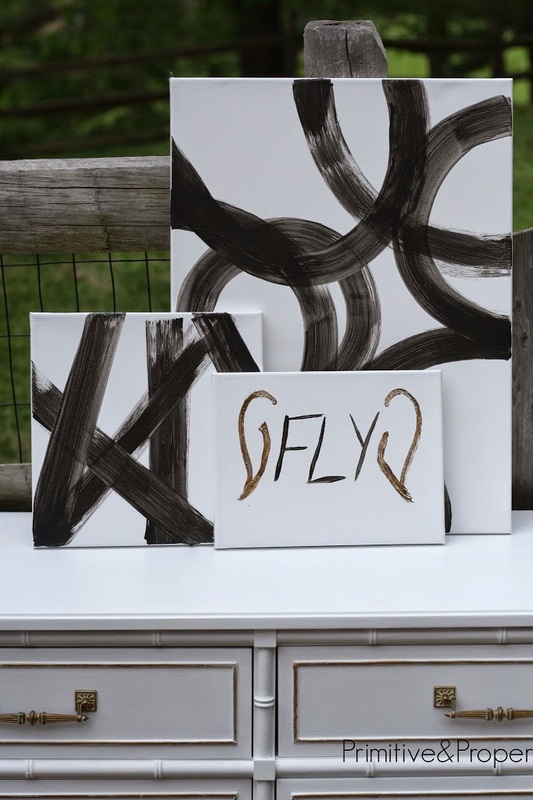 We’ve decided to focus on black, white, wood, with touches of gold and a pop of color. This past month, we’ve been plotting and painting, working towards an eclectic sophisticated style with a touch of rustic and glam. 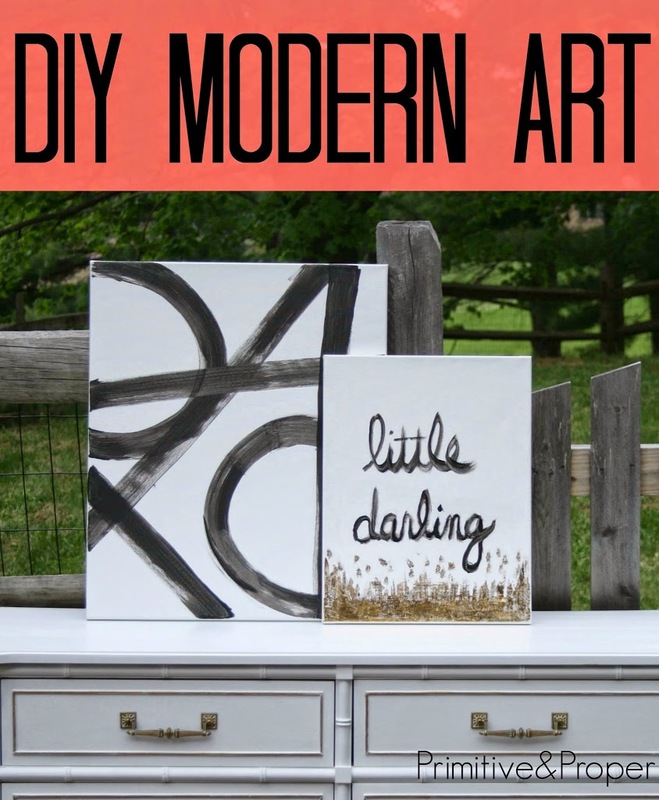 I shared with you a glamorous gold and white bamboo dresser the other day, and you got a little sneak peek of the DIY artwork I plan to bring to Lucketts to help define our space, and hopefully help us stand out! About a month ago, Michael’s had a giant sale on canvases, and I scooped up a bunch! 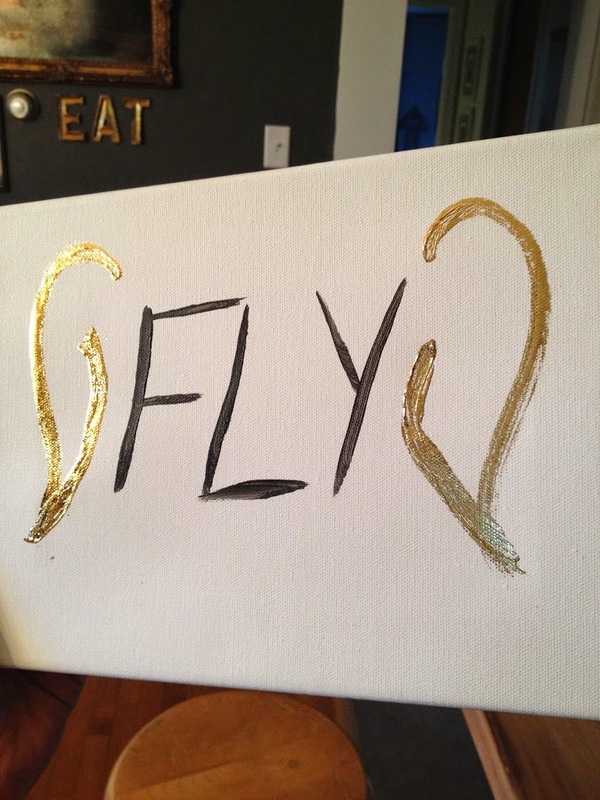 I knew I wanted to keep the designs simple, and I was inspired both by Julia’s gold leaf modern art- I loved her idea of adding gold to it! 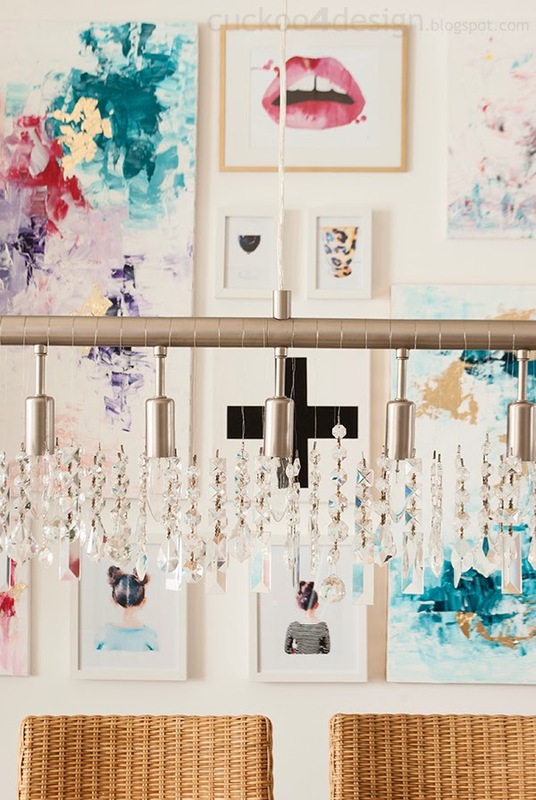 And Kristin’s West Elm inspired art…. 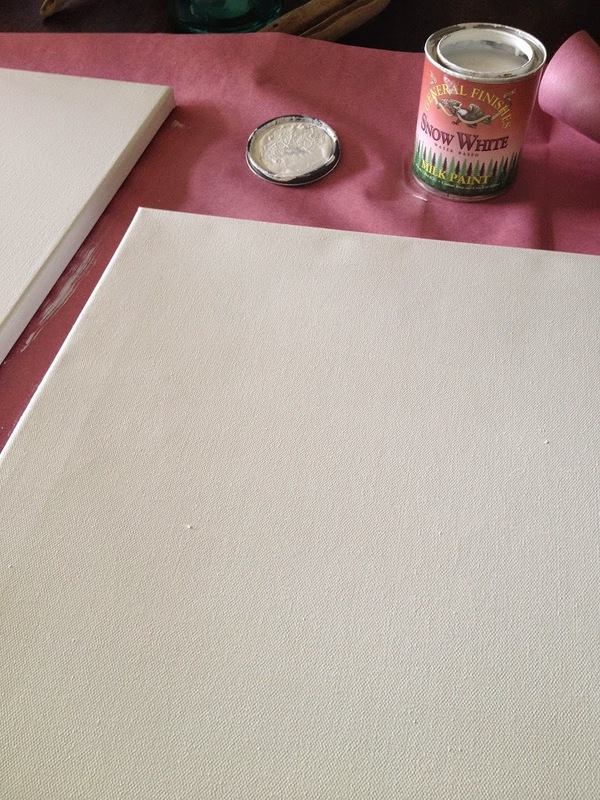 I wanted to start with a clean white slate, but I don’t like when canvases aren’t first painted, so I started out by painting them with General Finishes Snow White…. Once they were painted with the white, I pulled out the General Finishes Lamp Black, and just sort of had fun with it… there was no rhyme or reason. I did a couple with inspirational words on them. And on some of them I decided to add gold leaf. I followed the same gold leafing steps that I used here. The only difference is that I had to really press the gold leaf into the adhesive as the canvas is textured. 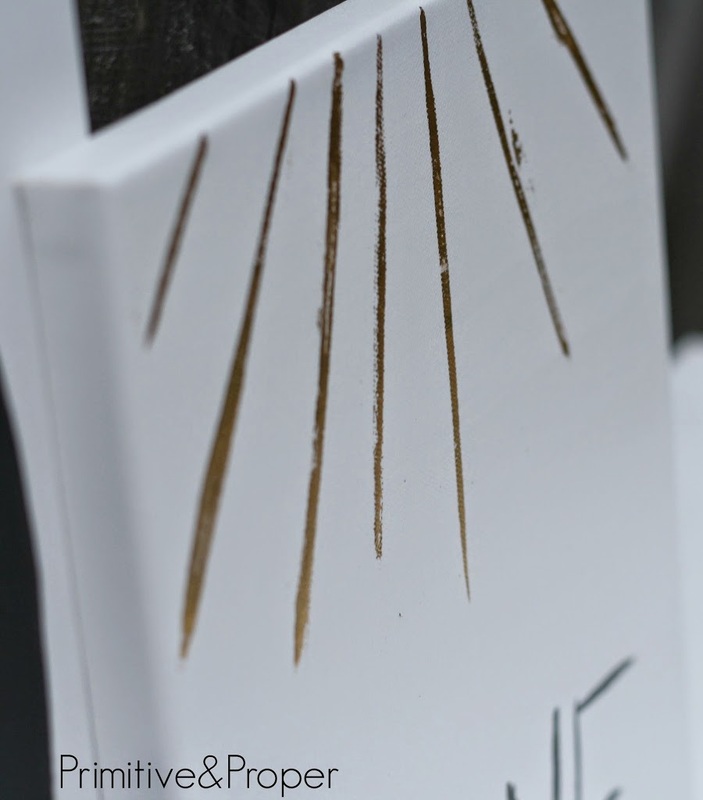 It’s hard to see, but that is gold leafing on the rays…. This image is not as good quality, but my crappy phone camera was able to catch the gold leaf a little more. And this one is my favorite- “little darling”. And with that, I leave you…. have a wonderful weekend and a happy Mother’s Day! Thanks for the shout out! Love your art! 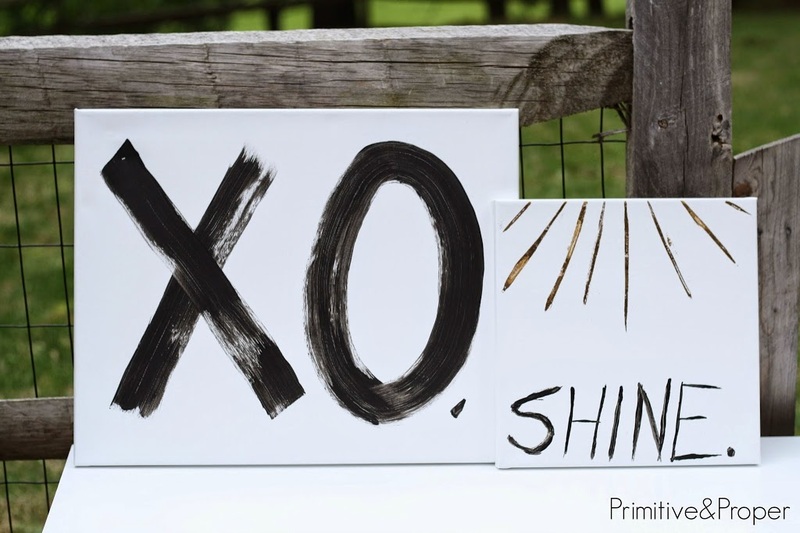 Love the shine one – too cute! Have a great weekend momma! How crafty and well done! So artistic! Thanks for the sweet bday wishes, too! I think they turned out great. So cute! Here Comes the Sun was my parents’ wedding song 🙂 Always loved it. Can’t wait to see how the Lucketts booth comes together – great vision for it! Good luck this weekend!! I think your look is sooo you!! Perfect!!! so fun! 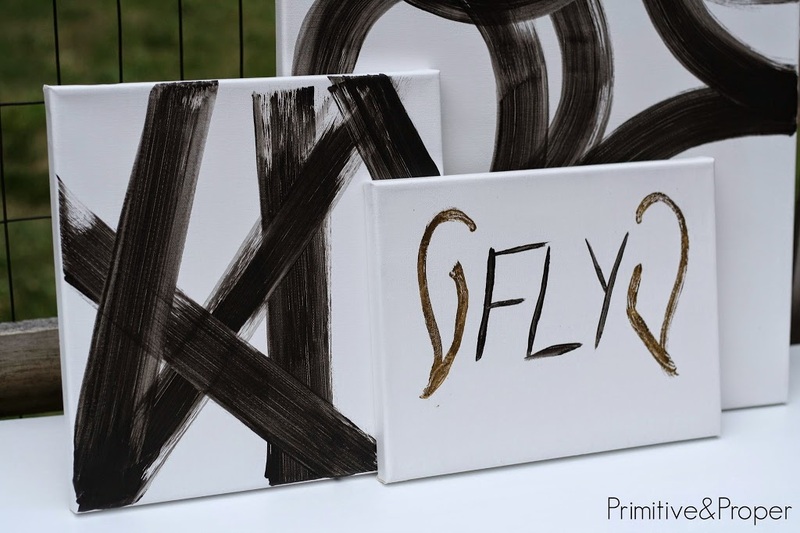 I have canvases sitting in my garage that I need to do something like this with. Instead, I keep saying that every time I see someone do a fun project with canvases and then forgetting about it until the next time. I love them…..You are so creative! So fun! I hope you’re super successful at Lucketts! Oh I hope I make it to Lucketts to check out your art work in person! 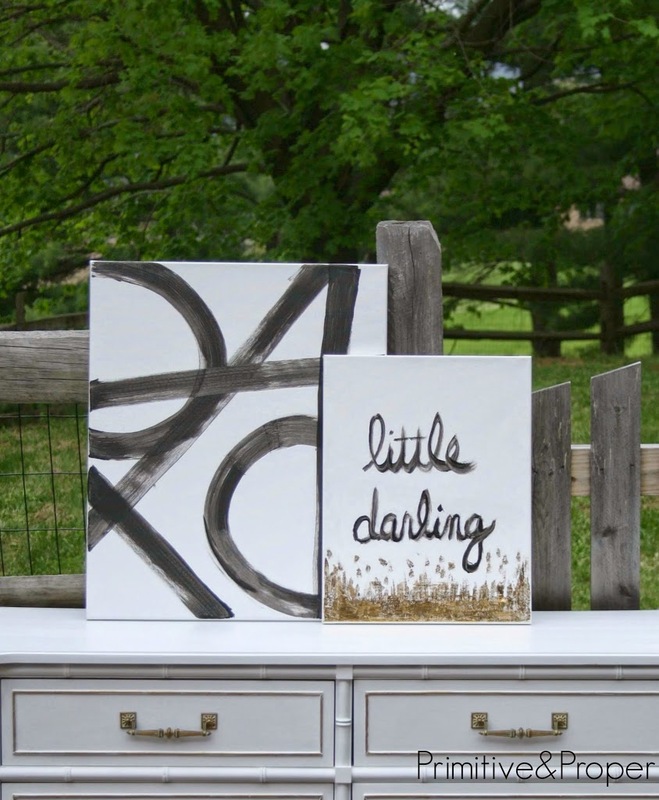 I especially love the one that says little darling – so very cute! … Hope you have an awesome Mother’s Day weekend! I love it, especially the “little darling”. Have a great Mother’s Day! Love all your artwork. Looks like a fun project. Happy weekend! How fun to paint and get creative. The little darling is my fave! thank you so much, rin!